With all the new awesome capabilities that have been introduced in vSAN 6.6, there is just as much Automation goodness that will be available for our customers to consume to help them easily mange and operate at scale. Below are all the new Managed Objects that have been introduced in the new vSAN Management 6.6 API. This does not even cover all the new methods or object types. 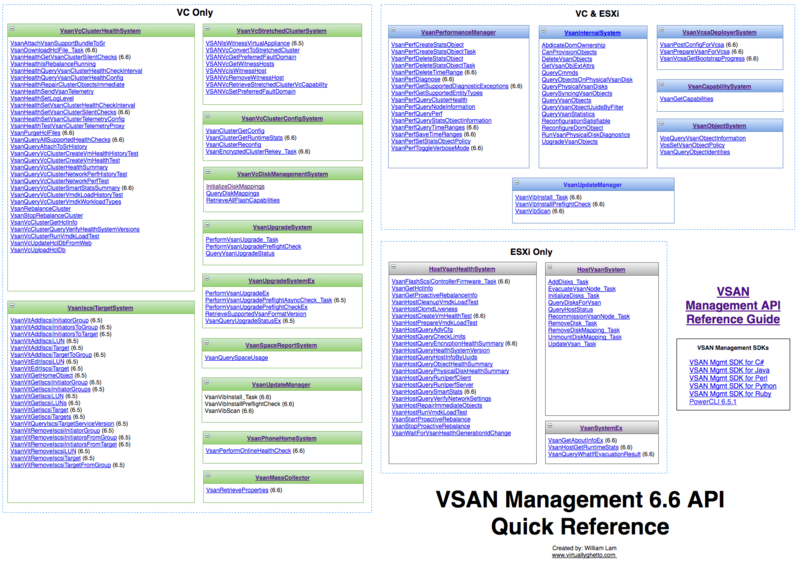 For the complete list of vSAN 6.6 APIs, be sure to check out the vSAN Management 6.6 API Reference Guide here. 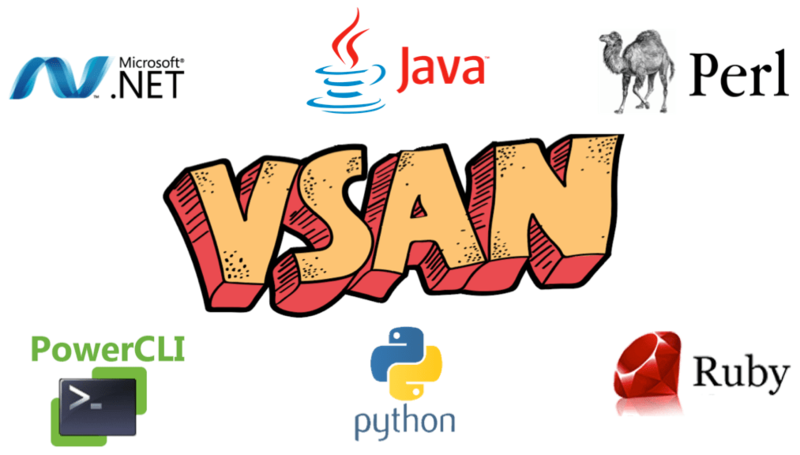 Simliar to previous releases of vSAN, there are new vSAN Management SDKs that are available across a variety of development and scripting languages that customers can take advantage of to consume all the new vSAN 6.6 functionality. 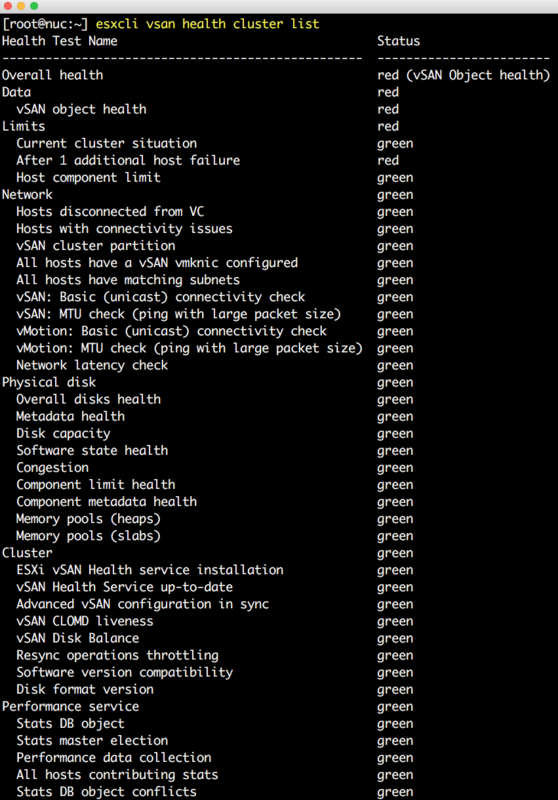 vSAN Customers have really enjoyed and benefited from the extensive vSAN Health Checks that have been built into the vCenter Server UI. In vSAN 6.6, these vSAN Health Checks are now also available directly on an ESXi host when connecting to the Embedded Host Client UI. In addition to the vSAN Health Checks being available in both VC/ESXi which can also be consumed programmatically using the vSAN Management APIs, they are also available using ESXCLI (locally or remotely). With the PowerCLI 6.5.1 release, a new Get-VSANView cmdlet is now available that will exposes the complete vSAN Management API using PowerCLI. Since the vSAN Management API has been around since vSphere 6.0 Update 2, you will be able to use this new cmdlet against vSAN 6.2, vSAN 6.5 and vSAN 6.6 environment! You simply just need to update your PowerCLI installation which you should always do to get the latest fixes and enhancements.